Ku Hye Sun, who is also starring in SBS’s Take Care of Us, Captain (Please, Captain), is singing an original sound track (OST) for the drama, which she also personally involved in composing and writing the lyric for the song. 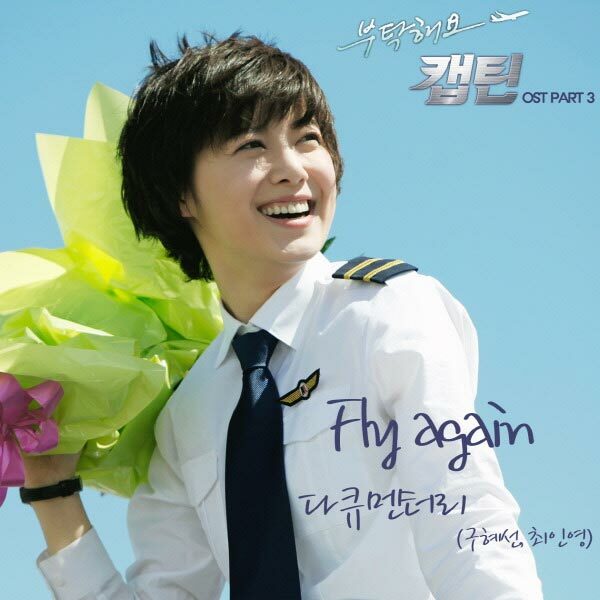 The song with the title of “Fly Again” is produced by a team called “Documentary” (다큐멘터리), which is comprised of Ku Hye Sun (구혜선) and pianist Choi In Young (최인영). The Fly Again is released on February 3rd, 2012 as part 3 of Take Care of Us, Captain. Take Care of Us, Captain OST part 3 actually contains 4 tracks, but only 1 track is a song. Listen to Fly Again at YouTube.